Orly Castel-Bloom is best known for her 1992 (2010 in English translation) dystopian darkly satirical post-modern science fiction novel Dolly City (also reviewed in NYJB), which has been included in UNESCO’s Collection of Representative Works, and was nominated in 2007 as one of the ten most important books since the creation of the state of Israel. But in 2002 she stopped writing in the first person, and in her 14th and latest book, An Egyptian Novel, Castel-Bloom turns to autobiographical fiction in a realist style. The title notwithstanding, this volume more closely resembles a book of linked short stories in the manner of Amos Oz’s Scenes of Village Life and Between Friends (both reviewed in NYJB) than a novel, but that is perhaps a semantic distinction. The book is also an immigration story of two brothers, Vita and Charlie Kastil (also spelled Casteel), who as young men in the late 1940s were active members of the Cairo branch of the Marxist-Zionist youth movement Hashomer Hatsair with whom they emigrated with their future wives Adele and Vivienne to Kibbutz Ein-Shemer northeast of Hadera in the newly independent state of Israel. Unlike the protagonist of Ronit Matalon’s The Sound of Our Steps (also reviewed in NYJB) whose immigration from Egypt to Israel hurls her from affluence to poverty, for the idealist Kastil brothers and their fellow Egyptian kibbutz members the great trauma is not leaving Cairo but rather being expelled from Ein-Shemer, where they had lived for three years and planned to spend the rest of their lives, over an ideological dispute. Members of the kibbutz were asked in a vote in a referendum to indicate their approval or disapproval of the 1952 show trial in Prague, Czechoslovakia, of 13 leading Communist Party members, 11 of them Jews, on charges of Trotskyite-Titoist-Zionist conspiracy. The national kibbutz movement recommended that members vote against the trial, but 23 fervent Marxist Egyptians were unwilling to break with Stalinism and voted in favor, which resulted in their expulsion. Sixty more Egyptian kibbutzniks left in solidarity with the 23. Most of the group wind up in professional and middle-management jobs in Tel Aviv that afford them a higher standard of living than that of their former fellow kibbutzniks, but the anti-Zionist circumstances of their exit and its stigma remain a shared secret. A recurring theme is how and to what extent characters recover from setbacks, displacement, and disappointments. Tel-Aviv, particularly north Tel-Aviv (an established affluent neighborhood in the later chapters/stories but new construction in the early ones) where the Kastil brothers and their families live, gives the book a sense of place. According to family lore Vivienne is descended from the only Jewish family that chose to stay in Egypt and in slavery rather that leave with Moses during the biblical exodus, and the Kastils are the descendants of seven Spanish Jewish brothers who arrived and settled in Gaza following the expulsion from Spain and whose descendants made their way to Cairo centuries later. One of the chapters/stories, “Year of the Pig,” takes place in late 15th century Spain where another part of the family became conversos who raised pigs to deflect suspicion regarding the sincerity of their conversion. “The Spring of Riots,” the penultimate chapter/story is set in Cairo during and after the Arab Spring of 2011 and features the last Jewish woman resident of that city. Most of the chapters/stories relate the lives of Vita, a bank manager, Adele, an academic research chemist; their daughter referred to as The Only Daughter; Charlie, an El-Al accountant; and Vivienne, also a bank employee and a real estate investor; and their daughters referred to only as The Older Daughter and The Younger Daughter. The unnamed daughters have named husbands and children, and The Older Daughter is clearly the author’s alter ego. Not naming the daughters might be a way for Castel-Bloom to maintain aesthetic and emotional distance from her fictional self. Parents bury an adult child, and when another adult child’s marriage ends her husband turns their children against her. In one chapter/story, “The Leveraging Counter Girl,” The Older Daughter, an author and creative writing professor, becomes obsessed with a gas station convenience store clerk. Knowing nothing about the young lady, The Older Daughter invents an imaginary life narrative thus providing glimpses into both her creative mental processes as a fiction writer and the vapidity of her own private life. But lest we conclude that The Older Daughter is an aloof, mentally withdrawn, socially isolated artist the final chapter/story, “Lucia,” in which she plays only a supporting role, reveals her to be a devoted friend to the title character during the latter’s final illness. Intellectually curious, polyglot, passionate sensualist and bon vivant Lucia is the quintessential cosmopolitan Tel Aviv resident. An Egyptian Novel’s Tel Aviv chapters/stories portray slices of life in that city in the seven decades since independence. Castel-Bloom was awarded Israel’s Sapir Prize for An Egyptian Novel in 2016, an honor that is well deserved. 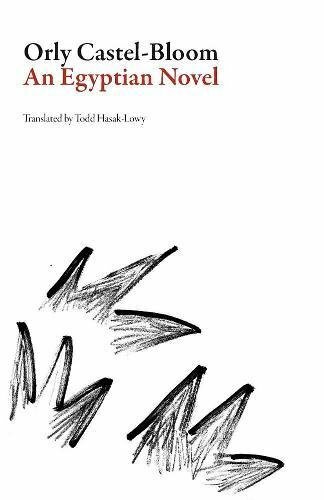 Kudos to translator Todd Hasak-Lowy for rendering Castel-Bloom’s idiomatic Hebrew into quite readable English. The text is marred by less than thorough copyediting, but readers will be able to correct those errors on the fly.